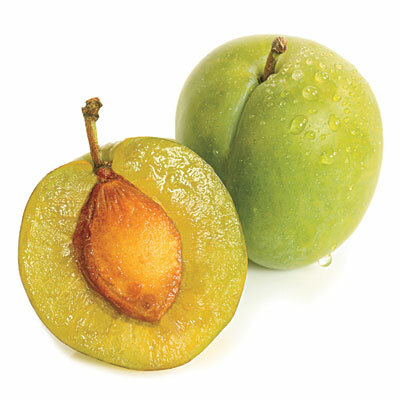 Since the publication of my Gages of Hengrave book last June (and, to be fair, before that) I have laboured under the curse of the greengage – which is to say that every time I have spoken about the Gage family, someone has asked me whether they are connected with the Reine Claude green plum. So much nonsense is peddled about the greengage that it is not an easy task to disentangle truth from fiction – and I am beginning to regret that I did not settle the issue in the book. I decided to leave the whole matter aside as I was unable to find any reliable evidence. However, for my peace of mind I have decided to present here some of the better evidence for why the greengage is so named. Whether what follows resolves the issue once and for all, let the reader decide. The Gage family, in the last century, procured from the monks of the Chartreuse, at Paris, a collection of fruit-trees: these arrived in England with the tickets safely affixed to them, except only the Reine Claude, the ticket of which had been rubbed off in the passage. The gardener being, from this circumstance, ignorant of the name, called it, when it bore fruit, the Green Gage. This note, which sounds like a retrospectively invented aetiology, does not specify which Gage family obtained plum trees from the Paris Carthusians – the Gages of Firle or the Gages of Hengrave. An old greengage tree used to be proudly shown at Hengrave as one of the originals brought over from Paris, but this really proves nothing other than that Hengrave acquired greengage trees at some point and that Sir Joseph’s story came to be accepted there. I was on a visit to Sir William Gage at Hengrave, near Bury; he was then near 70; he told me that he first brought over, from France, the Grosse Reine Claude, and introduced it into England, and in compliment to him the plum was called the Green Gage; this was about the year 1725. Collinson appears to be referring to Sir William Gage, 2nd Baronet (c. 1650-1727), who would indeed have been in his seventies in 1725. Sir William had strong Paris connections, having been educated there at St Gregory’s College; he met his future wife, Mary Charlotte Bond, at the court of the Dowager Queen Henrietta Maria at St Germain-en-Laye. In 1675 Sir William returned from his time in Paris for a double wedding at Hengrave, attended by the King’s brother James, Duke of York, in which he married Mary Charlotte Bond and his sister Mary Gage married William Bond. It is certainly possible that Sir William arranged for trees to be brought back from Paris at the time, although there is no record of any such transaction in the Gage family papers – but then there are no horticultural records of Hengrave dating from the 1660s or 1670s. One of the false stories about the greengage originated with Dr Robert Hogg, who in his Fruit Manual (1884) reported that the greengage was introduced by Sir Thomas Gage, who obtained it from his brother, ‘Rev. John Gage, a Roman Catholic priest, then resident in Paris’. There was a Sir Thomas Gage whose brother was Fr John Gage, a Jesuit priest, but this was Sir Thomas Rookwood Gage, 5th Baronet (1719-1796), who never lived at Hengrave but rather at his mother’s family seat of Coldham Hall. Furthermore, there is no evidence that Fr John Gage was ever in Paris. Perhaps Hogg’s story was given credence by the Carthusian association, since a Carthusian monk was gardener to the English Augustinian Canonesses of Bruges at Hengrave during their exile there between 1794 and 1802. Matters may have been further confused by the fact that a type of greengage was first cultivated in Bury St Edmunds at the end of the eighteenth century (although this was Coe’s Drop, the so-called ‘golden gage’, rather than the original greengage) as well as by the fact that Sir Thomas Gage, 7th Baronet (1781-1820) was a noted botanist after whom plants were named. It seemed quite natural, therefore, to attribute the introduction of the greengage to Hengrave at a later period. 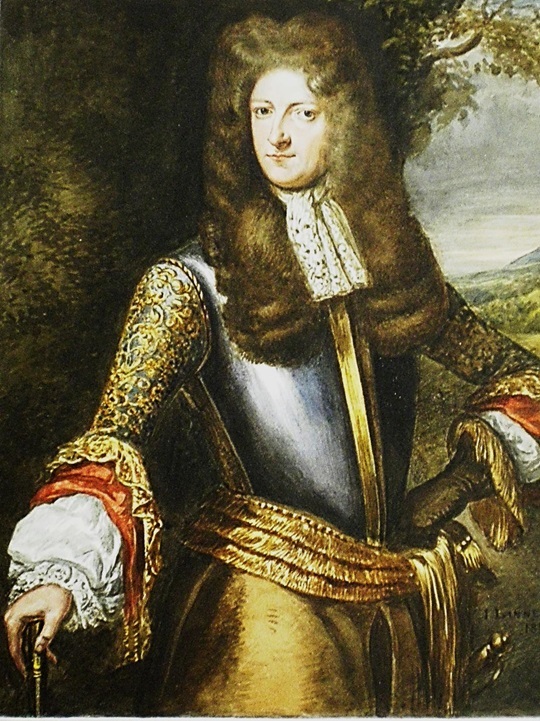 The erroneous association of the greengage with the Gages of Firle Place, the Hengrave Gages’ Sussex cousins, must have occurred as a result of the fact that there were two Sir William Gages alive at the same time: Sir William, 2nd Baronet of Hengrave (c. 1650-1727) and Sir William, 7th Baronet of Firle (1695-1744), who is otherwise famous as a cricketer. When the misattribution occurred I have not been able to determine. There seems no particular reason to disbelieve the near-contemporary testimony of Peter Collinson that Sir William Gage, 2nd Baronet of Hengrave was responsible for introducing the greengage to England, although this does not necessarily prove that the old greengage tree displayed at Hengrave is descended from the original stock. This entry was posted on February 22, 2016 by jacobite.